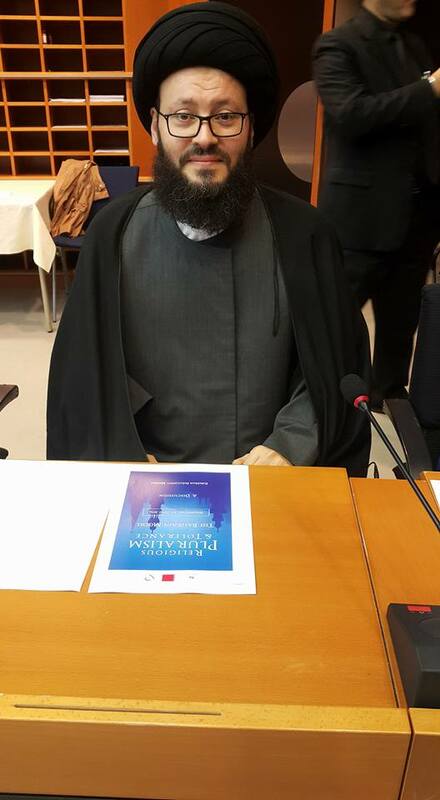 المجلس الإسلامي العربي / Cleric Mohamed Ali El Husseini mark at a conference of religious pluralism and tolerance in the European Parliament - Brussels. 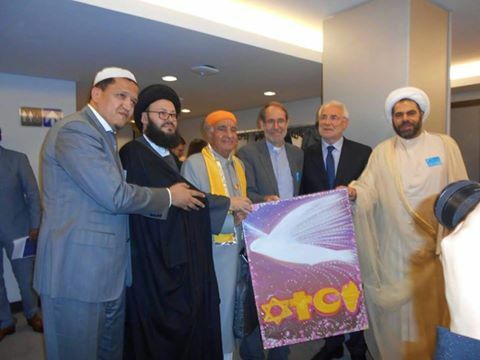 • الموضوع : Cleric Mohamed Ali El Husseini mark at a conference of religious pluralism and tolerance in the European Parliament - Brussels. .
Cleric Mohamed Ali El Husseini mark at a conference of religious pluralism and tolerance in the European Parliament - Brussels. 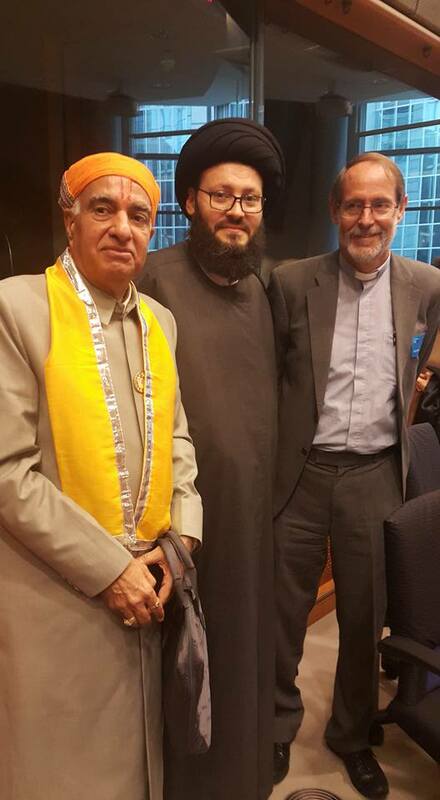 Honorable Cleric Mr. Mohamad Ali El-Husseini, Secretary General of the Arab Islamic Council in Lebanon, worded speech during European Parliament Conference "Religious Pluralism and Tolerance…" - Brussels Wednesday, June 1st 2016. As we all participate in this important Conference it behooves us all to know very well that we are confronted with humane, legitimate, historical and civilizational task and responsibility; which is to clarify the dimensions and depth of tolerance, humanity and civilization in Islam that unfortunately some extremist currents, ultra-mingled and suspicious groups, had sought to deform; moreover, they employed religious texts and interpreted them in contexts that serve a completely unrelated objectives and agenda to Islam, either closely or from afar. Islam is a religion of mercy, love, communication and peaceful coexistence, it is the religion that Prophet Mohamed (May God pray upon him) has addressed it with the most beautiful and wonderful definition when he said in his authentic speech: “religion is love and love is religion”, and we remember the saying of the Commander of the belivers Ali bin Abi Talib: (May God Bless him) “people are two types either brother in religion or similar to you in manners”; and the fact is that we cannot communicate with our peers in humanity without the bonds of love and harmony between us and them rather than hatred as aggressive extremists seek to; and we are confident, with God’s grace and strength, that the will of the good and love in Islam will prevail on the will of the terrorists suspected bad guys who want to buy by the word of God with a little price.